Companies rely on propane for many important functions — from water and space heating to fueling agricultural and off-road vehicles to backup power. 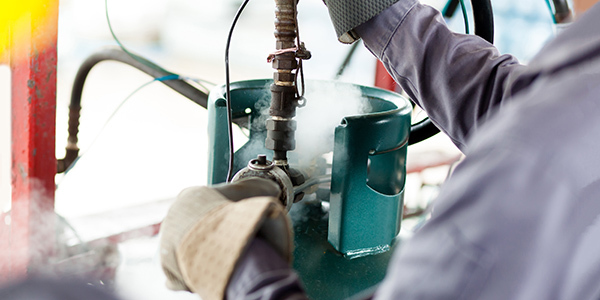 While there are a variety of benefits in opting for propane, there are several things to consider in finding even greater savings for your organization. For one, propane tends to be the smarter choice when it comes to cost efficiency. According to the U.S. Department of Energy, switching to propane is far cheaper than sticking with electricity for heating. Powering a water heater with propane, for example, can cost up to a third less than other fuel sources. Additionally, up to 95 percent of propane is produced in North America, meaning it’s less likely to be affected by price fluctuations within the foreign oil market. 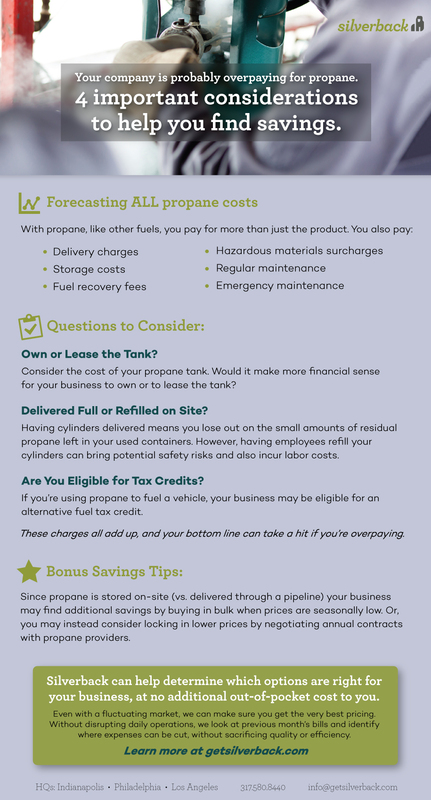 While switching to propane may save on fuel costs, there are still plenty of ways your company may be overpaying for fuel. Luckily, Silverback can help you determine exactly where you’re overspending and find better options for your business. Although every company’s situation will differ when it comes to finding ways to cut spending, below we’ve mapped out a few helpful starter considerations for lowering costs. Looking for more strategic ways to find impactful savings? Talk to us today to get started.